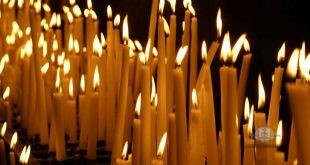 On January 6, 2013 the Very Reverend Cor-bishop Michael James Dennison Birnie, senior parish priest of St. Thomas parish in Seattle, Washington, was called to rest by the Lord. 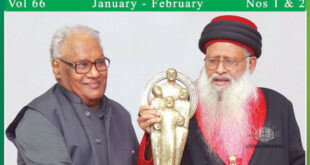 His Grace Mar Yohannan Yoseph, Bishop of India has visited Muscat, Oman, arriving on 10 December 2012 at Muscat International Airport. 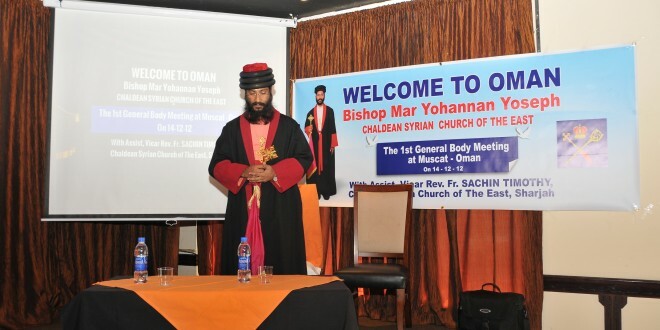 The formation of a mission congregation in the Omani capital was conceived by His Beatitude Mar Aprem, Metropolitan of Malabar and All India approximately two years ago and stewardship of this mission assigned to His Grace Mar Yohannan Yoseph, Bishop. The inaugural Hope Christmas Festival has been held on the grounds of Assyrian Australian Social Centre (formerly Nineveh Club) in Edensor Park, Sydney. The event, described as a resounding success by its organisers, the Assyrian Church of the East Youth Association – Sydney, attracted thousands of faithful and locals. The Assyrian Church of the East Youth Association – Sydney has held its Annual Retreat for 2012 at Youthworks Watersleigh Campsite in Shoalhaven from Friday 30 November until Sunday 2 December. Following up on to the previous visit in October of 2010, His Grace Mar Awa Royel, Bishop of the Assyrian Church of the East, Diocese of California, and Secretary of the Holy Synod, accompanied by his secretary Rev. Fr. Genard Lazar and Deacon Allen Youssefi returned to Hong Kong, in response to an invitation from the Jingjiao Fellowship and its director Mr. David Tam. History was joyously made after 125 years, on Friday November 30th at 9:00am, when His Grace Mar Awa Royel, Bishop of the Assyrian Church of the East, Diocese of California conducted the Liturgy of the Blessing of Houses, in the new established Holy Monastery of St. Isaac of Nineveh, in Salida, California. The monastery came about after much prayer and the seeking of the Lord’s will, in addition to the petition of some of the faithful, particularly those who wish to consecrate their lives to God by continue prayer, fasting and good works. His Beatitude Mar Meelis Zaia AM, Metropolitan of Australia, New Zealand and Lebanon has met in Sydney with Dr William Eshaya, Deputy Permanent Representative of the Republic of Iraq to the United Nations.